MANDEM’s current painting series has premiered in print: “Rogue Agent” has featured three of the “Hypermobility” works-in-progress in the 2016 anniversary issue of this literary journal from Sundress Publications. 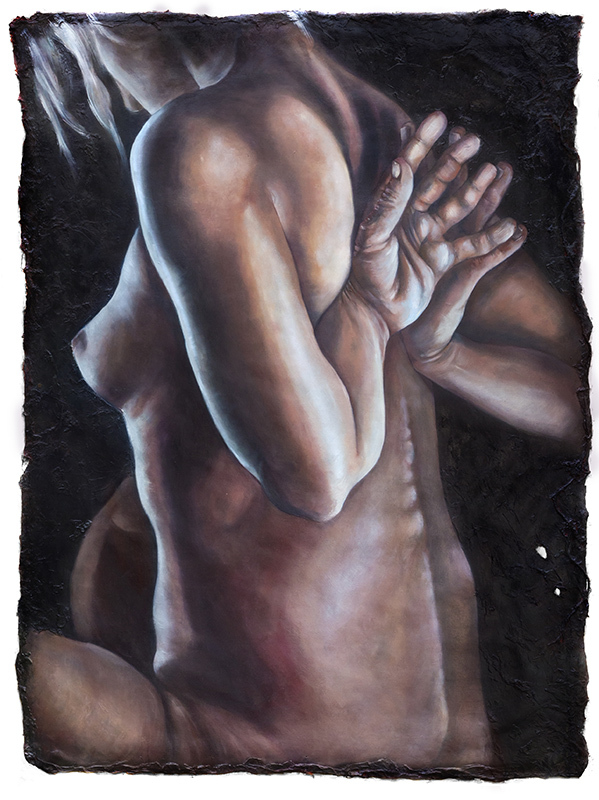 “Rogue Agent” describes itself as a journal for work that inhabits the body; the “Hypermobility” paintings capture moments where joints hyperextend or dislocate (as associated with the connective tissue disorder Ehlers-Danlos Syndrome). In the past year, MANDEM’s art has appeared in 25 peer-reviewed journals, including the covers of Menacing Hedge, Nonbinary Review, Scissors & Spackle, Emerge Literary Journal, Feminist Spaces, Gone Lawn, Alphanumeric, and many others. Further selections from the “Hypermobility” series will also be appearing in the next issue of “Love Me, Love My Belly (LMLMB)” from Porkbelly Press. Visit Rogue Agent online at http://rogueagentjournal.com/, and follow the development of MANDEM’s “Hypermobility” series athttp://MANDEMart.com/hypermobility.